イラスト素材: Colorful vegetables lying on black pan, drawn. 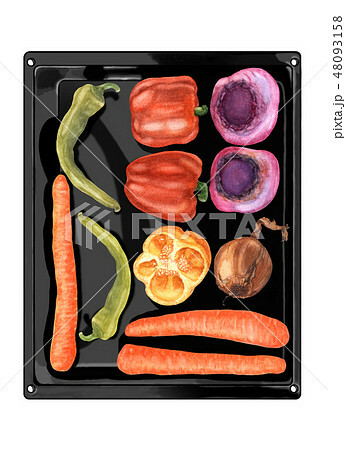 Watercolor hand drawn vegetables on black metallic baking pan, flat lay. Top view of beetroots, carrots, peppers, chili and onion. Fresh and healthy food illustration.